Can the old men hack it at this RTS? Last night's Monday Night Stream consisted of the new RTS from developer Eugen, Act of Aggression. 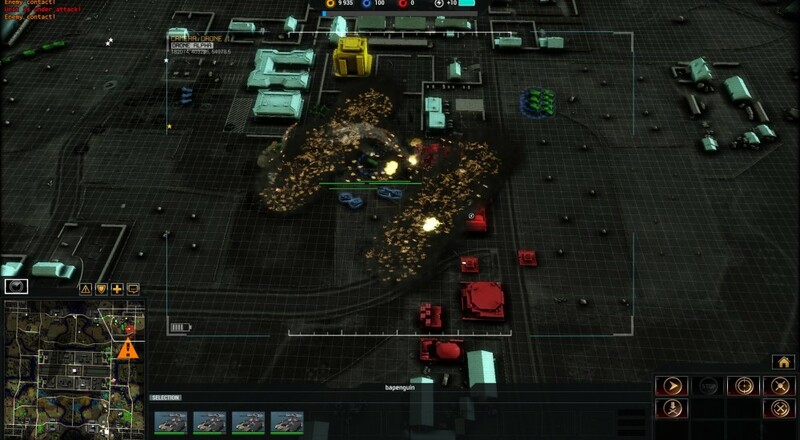 The game is clearly a throwback to a title and series many of us loved - Command and Conquer. From the music, to the units, to the presentation and even some of the special abilities - the inspiration is clear and frankly that's a good thing for those of us who grew up gaming on computers in the 1990s. Yes we're old gamers trying to play an RTS with a APM of about 7. After a few practice sessions it was clear we'd need to outnumber our opponents in co-op to have a chance at winning. Perhaps a little unfairly we took on the Easy AI with a 2 to 1 ratio with Locke, Mike, Jason and myself all teaming up as one of the three in game factions. And while we all managed to figure out a strategy specializing in different unit productions to maximize our war effort, I'm not so sure the AI ever worked together to actually try to defeat us. Give the video a watch as we go over some of the basics of the game including resource collections and optimization, unit upgrades, and tactical tips. On the co-op side of the fence the game supports comp-stomp co-op beautifully, though there's a few rough edges. Steam integration is weak, so you have to jump through some hoops to get a game going with your friend(s). Also players can drop out which is nice, with the game handing over the remaining units to another player. Page created in 0.9593 seconds.